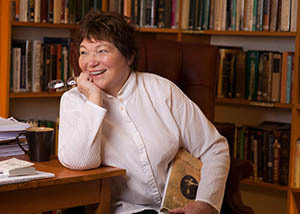 Tina Packer (actor/playwright) is the founding artistic director of Shakespeare & Company in Lenox, Massachusetts. She has directed most of Shakespeare’s plays (some of them several times), acted in seven of them (never when directing) and taught the whole canon one way or another at over thirty colleges in the U.S., including Harvard, M.I.T. and NYU. At Columbia, she taught in the M.B.A. program for four years, resulting in the publication of her piece, Power Plays: Shakespeare’s Lessons in Leadership and Management with Deming Professor John Whitney. For Scholastic, she wrote Tales from Shakespeare, a children’s book and recipient of the Parent’s Gold Medal Award. She began her career in England, having trained at the Royal Academy of Dramatic Art, where she won the Ronson Award for most Outstanding Actor. Following this, she became an associate artist of the Royal Shakespeare Company, performing at Stratford, in the West End, and on tour. She has worked at The Royal Court in London; Glasgow, Edinburgh, Leicester, Coventry and Hornchurch repertory companies. For BBC Television, she played Dora to Ian McKellen’s David Copperfield, was a love interest for Patrick Troughton’s Doctor Who (which she has never lived down), and also performed in several other TV plays and series. She came to the U.S. in 1974 when the Ford Foundation funded an eleven-month project for her to research the visceral roots of Elizabethan theater with five master teachers (Kristin Linklater, John Barton, B.H. Barry, John Broome, Trish Arnold), fifteen actors, and three managers. Out of these projects led by Tina throughout England and the US, her work has translated into the aesthetic and practical methods that Shakespeare and Company is based on, and still practices to this day. Tina then received two grants from the Ford Foundation to travel the world, looking at the relationship of mind, body, sacred texts, stand-up comedy, voice, and actor–audience relationship in her studies. The current company was founded in 1978 at Edith Wharton’s derelict mansion in Lenox, far from the cities of New York and London. Tina has returned to acting from time to time, most notably as Edith Wharton and a two-year stretch as Shirley Valentine, playing in Lenox, Boston and Louisville, and Lettice in Lettice and Lovage. For the Boston Shakespeare Company, she directed a season of twelve Irish plays, including the U.S. premiere of Observe the Sons of Ulster Marching towards the Somme. She has received the state of Massachusetts’s highest honor, The Commonwealth Award, and has six honorary degrees (which gives her great pleasure as she never went to regular college). During the mid-90’s, Tina conceived the idea for Women of Will, and subsequently received grants from the Guggenheim and Bunting fellowships to fund the project. This collaboration resulted in its first incarnation, at that time. In 2009, desperate to get back to WoW, Tina gave up the artistic directorship—though Shakespeare & Company remains her creative home and passion. She began work, first with Nigel Gore and then joined by Eric Tucker, to bring Women of Will to its present form of one Overview and five separate performances. This is Tina’s seventh creative collaboration with Nigel (including playing George and Martha in Who’s Afraid of Virginia Woolf?) and she would like to acknowledge the power of their work together over the past six years. The book of Women of Will will be published by Knopf next year. Women of Will marks her New York debut as an actor and a writer. Les Dickert (lighting designer) designs for a diverse range of live performance, spanning contemporary and Shakespearean theater, modern dance, classical ballet and international performance art. Recent projects include Assisted Living/Good Sports 2 (Yvonne Rainer/Kunsthaus Bregenz), The Nutcracker (Boston Ballet) and Issac’s Eye (Ensemble Studio Theatre). Broadway: Wrong Mountain (assistant), High Society (assistant). Off Broadway: Atlantic Theater, Rattlestick Theater, P73, Theatre Row, Ensemble Studio Theatre, InViolet Rep, others. Regional: Shakespeare & Company, Great Lakes Theater Festival, Geva Theater, Perseverance Theater, Syracuse Stage, Triad Stage, Arden Theater, others. Dance: White Oak Dance Project, San Francisco Ballet, Boston Ballet, Miami City Ballet, Tulsa Ballet, Joffrey Ballet. International: Centre Pompidou, La Scala and the National Ballets of England, Denmark, Australia, Belgium, Canada and Russia. Upcoming: Achilles Heels (Martha Graham Dance Company), Clybourne Park (Pioneer Theater). 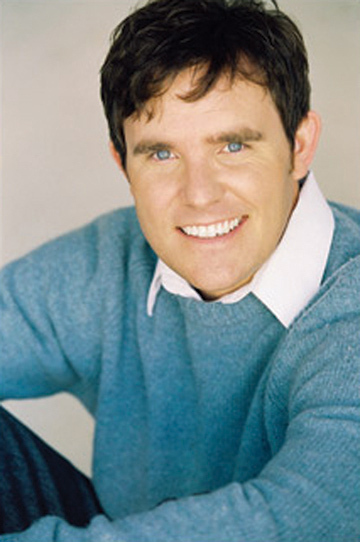 Mr. Dickert is a graduate of the Yale School of Drama. Adam Fitzgerald (general manager) is the artistic director of kef theatrical productions and a founding partner of Fifty2&Nine. General management credits include Michelle Clunie’s Us, Wendy Beckett’s A Charity Case and Modotti and the NY premiere of Chekhovek. In NYC, Adam directed the critically acclaimed Methtacular! (Time Out NY critics pick), Killing Women (with Lisa Brescia), Lyric Is Waiting (all with kef), Getting the Business (Rachel Reiner Productions) and the premiere of Friends and Relations, among others. Adam also served as a directing fellow at Playwrights Horizons. Regional directing credits include John Patrick Shanley’s Defiance at Playhouse West (Critics Circle Award noms, director, production) and The Santaland Diaries at the Home Made Theater. With Fifty2&Nine, Adam wrote and directed the winning PSA for the “Think B4 You Speak” campaign (GLSEN, TalentHouse, Brett Ratner), directed the pilot episode of the web series Conversations w/My Ex and the year-end appeal video for Playwrights Horizons. www.directorfitz.com.